You’ve no doubt noticed the current abundance of grasshoppers and also spider webs strung inconveniently across paths, the latter proving to be quite a trap for the former. 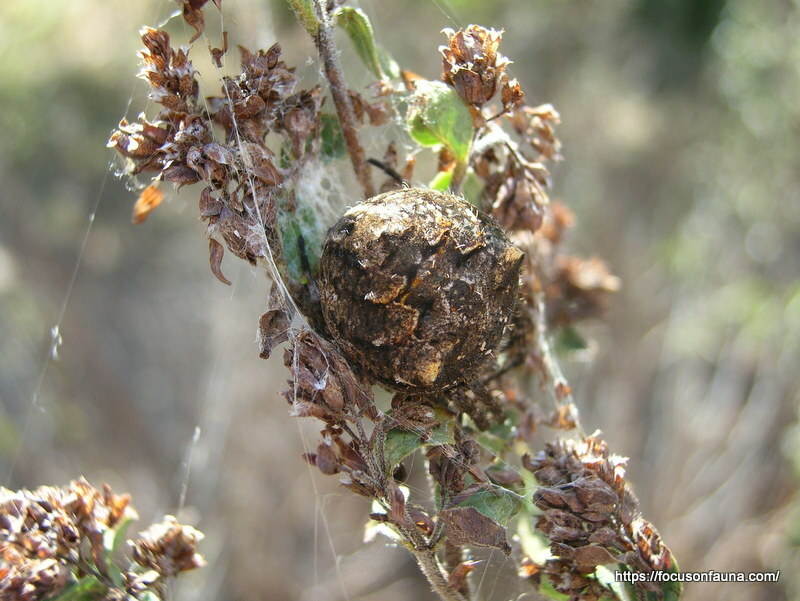 Near our vegie patch we disturbed a Wingless Grasshopper (Phaulacridium vittatum) which jumped right into the web of what looked like a Garden Orb-weaving Spider (Eriophora sp. ), which in a flash reached the grasshopper and wrapped it in silk. 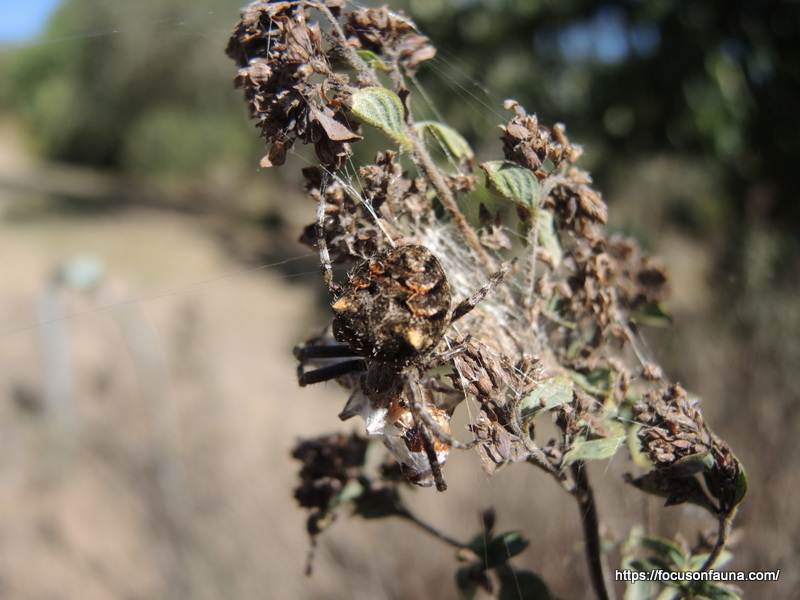 A few minutes later it had transferred the package to the edge of its web, on a stalk of oregano, where it rested with its legs drawn under its body and stayed there all through the heat of the day. 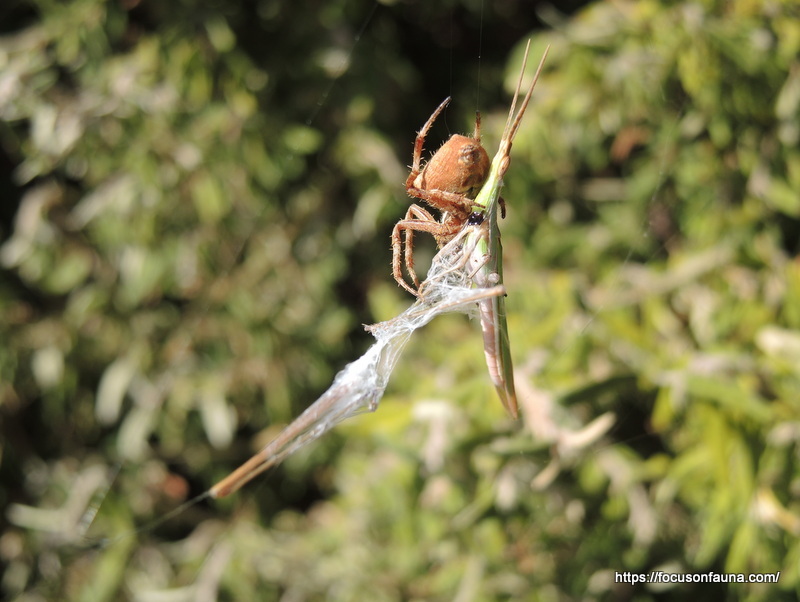 Although predominately nocturnal hunters, these spiders are clearly not going to knock back the chance of a good daytime meal. 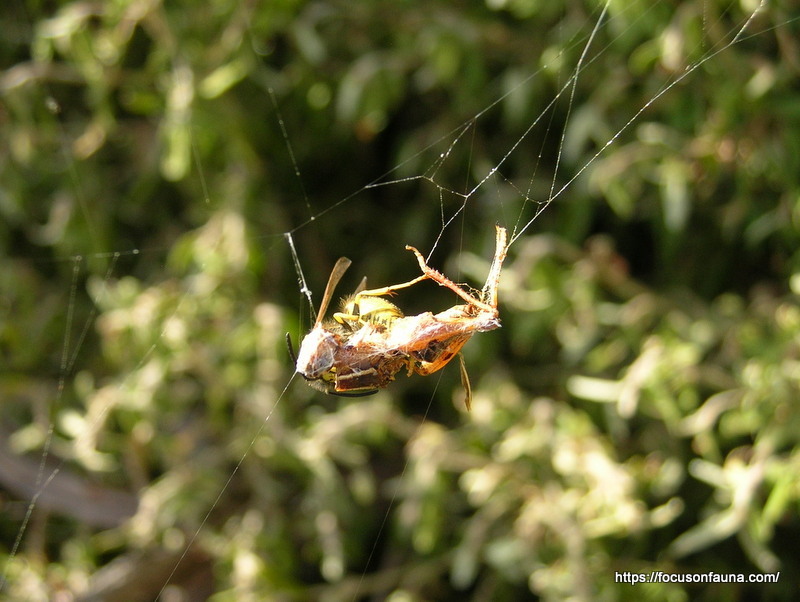 At another web, we thought the spider had achieved a double whammy with a grasshopper and a European Wasp (Vespula germanica), apparently both caught together in the web. Closer inspection revealed that the wasp was not trapped but was in fact feasting on the grasshopper right under the nose of the spider, so to speak! A third web nearby had ensnared a different grasshopper with the amazing name of Giant Green Slantface (Acrida conica), an insect we had come across previously. 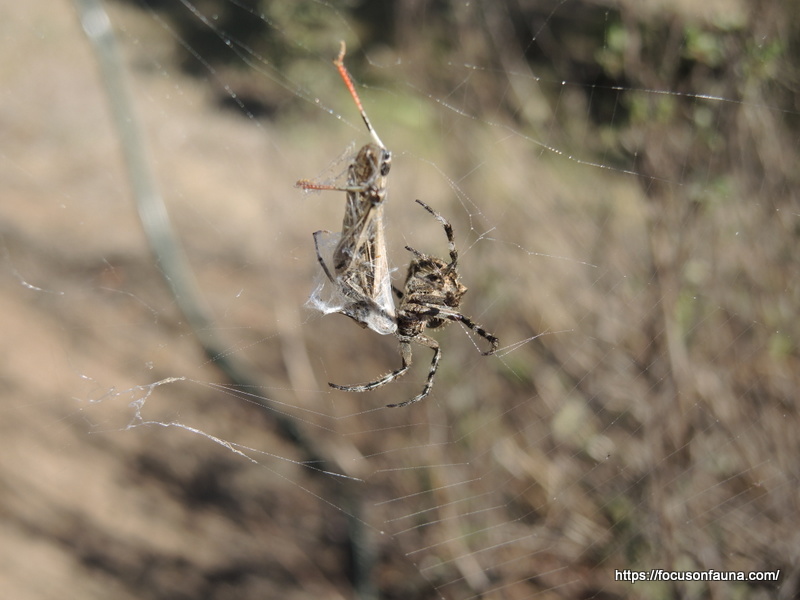 So although maybe not making a big dent in the grasshopper population, the spiders are certainly being well-fed. Click on any of the photos for a better look.